Acoustic artists in various genres can gain exciting radio and web exposure through this competition and the 8th Annual International Americana Music Awards (IAMA) deadline is fast approaching. 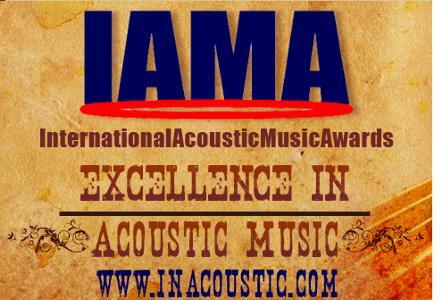 IAMA promotes excellence in Acoustic Music Performance and Artistry. Acoustic artists in various genres can gain exciting radio and web exposure through this competition. Participating sponsors include D'Addario Strings, New Music Weekly, Loggins Promotion, AirplayAccess.com, Tanager Music Software (Songframe), SongU, Acoustic Cafe Radio Show, Reverbnation, Sonicbids and XM Satellite Radio.